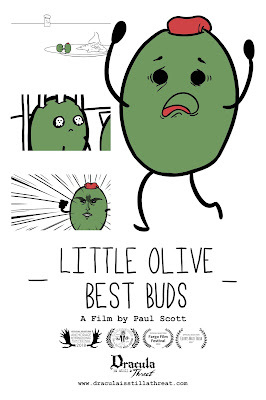 My short film "Little Olive Best Buds" is going on a screening tour with 100 films in 100 Minutes. The tour will be in European countries like Ukraine, UK, Italy, Netherlands, Germany, Poland, and more! You can see the full line up of dates and countries here, on my own upcoming film screening list or below. Kyiv, Ukraine - October 26-28 at Kniopanorama. I did some light animation over live action footage with my pal Black Zeus. These videos are promoting a talk show/comedy show at Vapor Central in Toronto, ON. The first 4 videos were made to promote the coming live show, while the rest are recaps from the live shows. I drew a hairy monster, look at that guy! Time-lapse video of me drawing the hairy monster. May 18th, 2018 my short film "Vehicle Emotions Test" will be screening at Bar Le Rtiz, 179 Rue Jean-Talon-Ouest for the 13th Montréal Underground Film Festival. It's screening on opening night around 9:30pm. Admission is $10, more info. here. 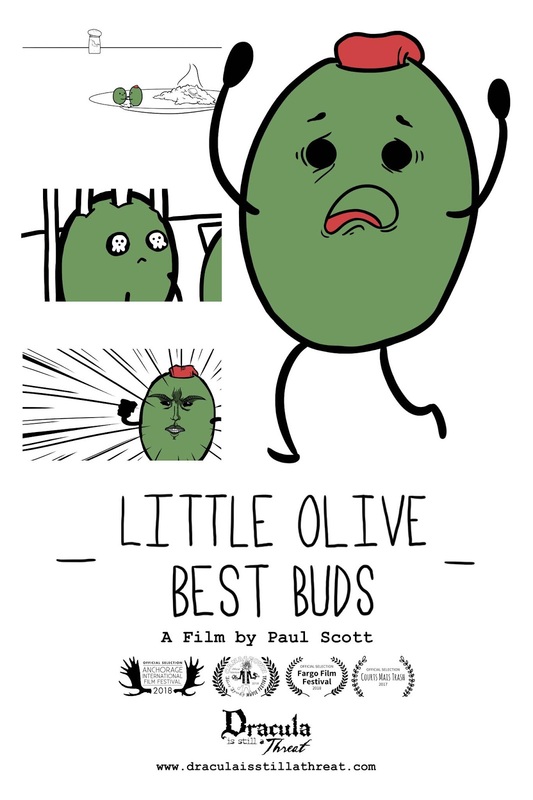 May 26th and 27th, 2018 my short film "Little Olive Best Buds" will be screening at Toronto's City Hall as part of the Toronto Youth Shorts event. 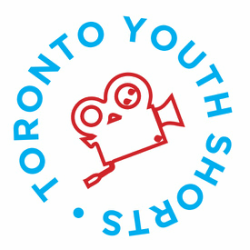 Films will be screened multiple times in rotation all day, both days, 10am - 5pm. Admission if free, more info. here. For my first drawing of 2018 I drew a hunter and the Brain of Mensis from Bloodborne. It's a funny scene from a normally dark and gruesome game. 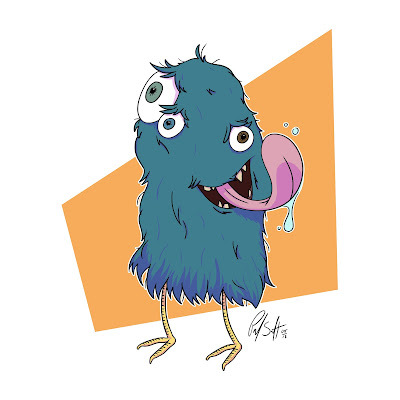 I drew the hunter in more of a cuter style while the brain is more detailed. 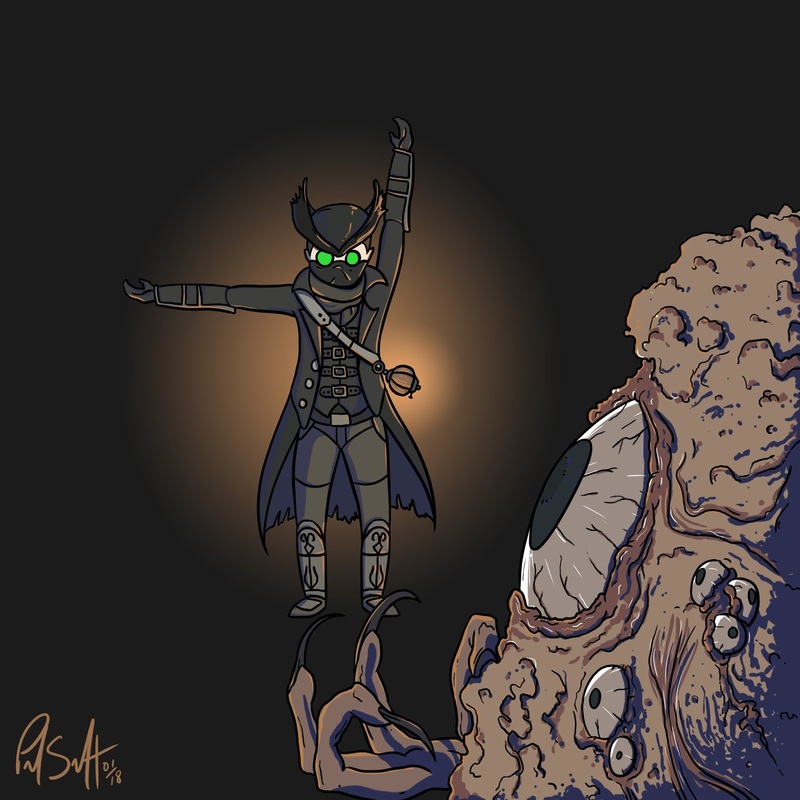 While playing the game I made my hunter have bright green sunglasses, so I wanted to add that into this drawing as well. Time-lapse video of me drawing a hunter and the Brain of Mensis.